In 1985, Patriarch Aphrem took the vows of a monk, and put himself in the service of the Church. He was ordained to the diaconate in Egypt, and later the same year, to the sacred priesthood in Kamishly. From 1988 to 1989, Patriarch Aphrem served as both, the secretary of His Holiness Moran Mor Zakka I Iwas, Syrian Orthodox Patriarch of Antioch and all the East, and as a teacher at St. Ephrem’s Theological Seminary in Damascus, Syria. In 1991, Patriarch Aphrem entered St. Patrick’s College in Maynooth, Ireland, where he received a License of Sacred Theology Degree, in 1992, and his Doctor of Divinity Degree in 1994, following a defense of his doctoral thesis on The Symbolism of the cross in early Syriac Christianity. On Sunday, January 28, 1996, His Holiness was consecrated as Metropolitan and Patriarchal Vicar to the Archdiocese of the Syriac Orthodox Church for the Eastern United States, by His Holiness Patriarch Zakka I Iwas, at St. Mary ‘s Syriac Orthodox Church in Kamishly. His Holiness Patriarch Aphrem II arrived in the United States on March 2, 1996 and was officially installed to his position at St. Mark’s Cathedral in Teaneck, New Jersey. In addition to his many talents, Patriarch Aphrem is fluent in both Classical and Vernacular (Touroyo) as well as in Arabic, French, and English. Thanks to Almighty God and to His Eminence’s fatherly and tireless leadership, the Archdiocese now directs twenty parishes. Throughout the years, His Holiness has visited, on a regular basis, all the parishes, and formed a new Archdiocese Advisory Council to assist with the administration of the Archdiocese and its various programs; working closely with the parish boards and clergy to see that the spiritual and church needs of the faithful are fulfilled. Patriarch Aphrem had a special concern for the youth of the Archdiocese; in his first year as an Archbishop, he established the Syriac Orthodox Archdiocesan Youth Organization (SOAYO), which coordinates the ministry of all youth organizations of the parishes of the Archdiocese. His commitment to them was shown right from the start, when he immediately held a number of youth gatherings and conferences, as well as being instrumental in establishing an Archdiocesan Scholarship Program to benefit the students. His Holiness shared the youth with the Church’s deep concern for them, and fielded many questions related to faith and other specific concerns they had. He encouraged them to do their best to work together as one family for the growth and advancement of the Holy Church. Patriarch Aphrem, likewise, helped organize Annual Youth Retreats throughout the Archdiocese, for both younger and older youth. He was also responsible for the creation of a special Monthly Youth Liturgy, to bring the young people of the various parishes in the New Jersey/New York area, to give them a chance to participate fully in the Eucharistic Celebration. Consequently, His Holiness called for the establishment of the Archdiocesan Choral Society, comprised of musically talented children from different parishes of the Archdiocese. This group performed in several concerts and produced two Hymnal recordings; one for Christmas and the other for Maundy Thursday Service. The Syriac Orthodox Scouts of America is another organization of the youth that is dear to His Holiness’s heart, and he does his best to attend all their activities and he always appeals to our people to encourage them. Likewise, His Eminence showed his great concern to the adult members in our community. Under his guidance and leadership, a Pre-marital Counseling Program has been created in the parishes of the Archdiocese, to help young people prepare for their Christian married life. This includes an opportunity for them to meet with His Eminence and local clergy, to discuss matters of common concerns, which help assure lasting and successful marriages. Patriarch Aphrem also realized how important is to respect and honor the elderly. In this regard, he established an Annual Elderly Liturgy Service, which brings together the elderly members of local parishes to share in the Celebration of the Lord’s Supper, and to spend a special time of recognition and appreciation. In the field of education, Patriarch Aphrem blessed and encouraged the establishment of the Archdiocesan Sunday School Committee; a body of Sunday School principals and teachers, who had been working together with His Eminence and local clergy, in the creation of a Unified Sunday School Program for the parishes. As a result of the Committee’s outstanding efforts, a series of unified lesson plans and materials have been prepared, and have proven invaluable in helping to introduce students to the Orthodox faith and traditions of the Holy Church. Patriarch Aphrem encouraged the American Foundation for Syriac Studies to publish several issues of a quarterly entitled “Syriac Studies”, and helped in co-sponsoring a series of public lectures by outstanding scholars on Syriac Theology, culture, history, and literature. Over the past decade, Patriarch Aphrem has also established himself as an ecumenist, very much concerned about Christian Unity. He has served on both, the Executive and Central Committees of the World Council of Churches, attending the 1991 Canberra, Australia WCC General Assembly, the 1998 WCC General Assembly in Harare, Zimbabwe and the 2006 Assembly of Porto Alegre, Brazil, as a member of the Syriac Orthodox delegation. Moreover, he has been an active member of the Executive and Governing Boards of the National Council of Churches of Christ in the USA, and he also serves as a Vice- Chairman of the Standing Conference of the Oriental Orthodox Churches in America. 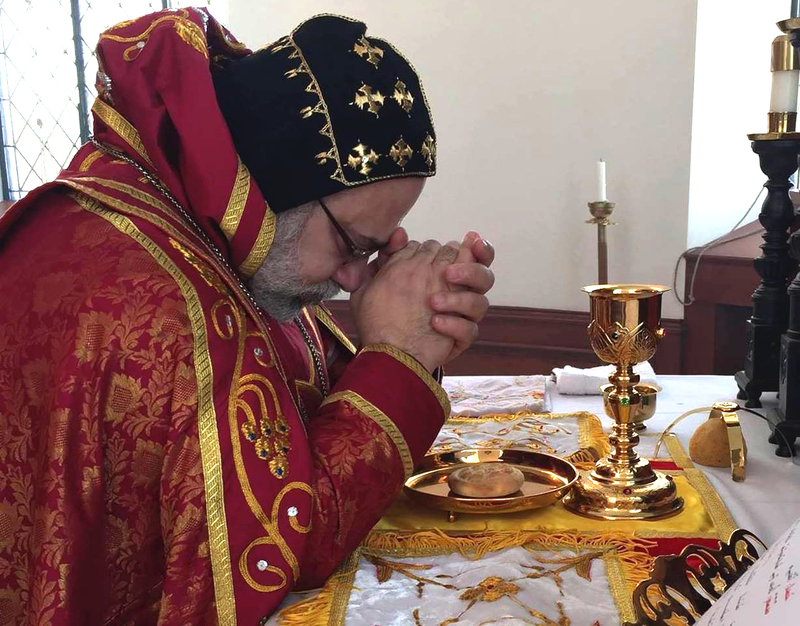 In recent years, His Holiness has been instrumental in the establishment of a new and promising ecumenical body, Christian Churches Together in the USA, of which the Syriac Orthodox Church is a founding member. In all his ecumenical activities, Patriarch Aphrem has most capably represented the Holy Church and has won the admiration and respect of his colleagues and confreres. The Beth Antioch property in Wantage, which is a large piece of land, with many options, including building units or malls, whose revenues will help support all future plans and programs of the Archdiocese. The New Archdiocese Center on Midland Avenue, Paramus, which will fulfill many dreams and plans the Archdiocese needs to serve the Community appropriately: Church, clergy center, Syriac School, youth center, library, elderly facilities, spiritual retreats center and a hostel to receive out-of-town Suryoye. This center will hopefully become a reality in the near future, to help preserve the Orthodox faith and spiritual and social heritage of our Church for the years to come. On March 21, 2014, Patriarch Ignatius Zakka I Iwas died after a long illness. Following his death, the Holy Synod of the Syriac Orthodox Church of Antioch was convened to elect a successor. The synod was held at St. Jacob Baradeus Monastery in Atchaneh, Lebanon, presided over by Mor Baselios Thomas I Catholicos of India and Mor Severius Jamil Hawa Archbishop of Baghdad and Basra and Patriarchal Locum Tenens. The synod elected Cyril Aphrem Karim to be the 123rd successor of St. Peter in the Apostolic See of Antioch. He was enthroned on May 29, 2014, at St Ephrem’s Monastery, Maarat Saidnaya, near Damascus, Syria. Baselios Thomas I oversaw the ceremony. Cyril Aphrem Karim took the patriarchal name Ignatius, replacing his episcopal name Cyril and being the second patriarch to bear the monastic name Aphrem (the first being Ignatius Aphrem I Barsoum), his name became Ignatius Aphrem II. Unlike his immediate predecessors, but following older convention, Aphrem II chose not to use his family name Karim in his official title. 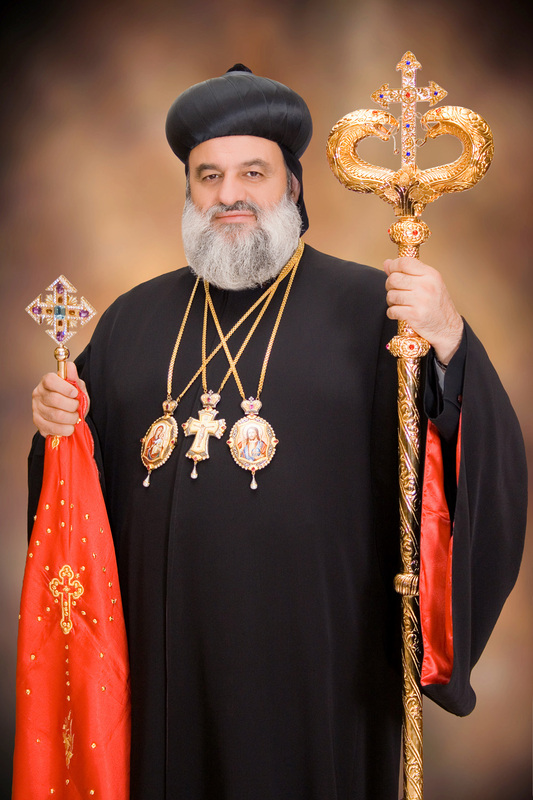 On May 29, 2014, His Holiness Ignatius Aphrem II became the 123rd Syriac Orthodox Patriarch of Antioch when he was enthroned as patriarch in Damascus.